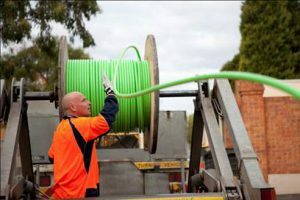 The National Broadband Network (NBN) is an upgrade to Australia’s existing telecommunications network designed to provide Australians with access to fast, reliable and affordable landline phone and internet services. If you are unsure if the NBN is available in your area/your street, please phone 1800 687 626 or visit www.nbnco.com.au. 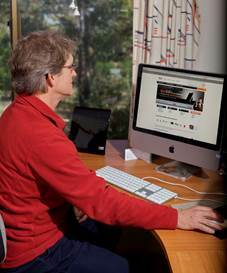 The NBNCO website publishes information about the network, how to connect home or business and support including information on medical alarm registration, fire and lift registration and information about what happens in a power blackout. COTA and ACCAN (Australian Communications Consumers Action Network) identified an important issue around personal medical alerts and NBN connectivity. Most personal medical alarms are connected to your phone line, so they can call for help if triggered by the customer. The problem is that telephone and internet connected over the NBN network will not work during a power outage. NBN has recommended that people have a charged mobile phone available as an alternative. Power blackout – It’s unlikely that devices connected over the nbn™ network will work during a power blackout. Consider having an alternative form of communication handy, such as a charged mobile phone. If you have a safety critical device (e.g. medical alarm, fire alarm or emergency lift phone), speak to your device or retail service provider about alternative solutions. These include: Medical alarms, professionally monitored medical alarms, family and friend autodiallers/emergency call buttons and Priority Assistance Service. Call nbn on 1800 227 300 or visit com.au/medicalregister and register your medical alarm. Call your medical alarm, autodialler or emergency call button provider for advice and to find out if your services will work on the nbn™ network. Test your medical device and alarms are working after any changes are made. NBN is engaging with all the providers of monitored medical alert systems to assist them to transition customers to NBN using mobile devices. (However, consumers with monitored systems should still make direct contact with their medical alert monitoring provider to follow up on this). 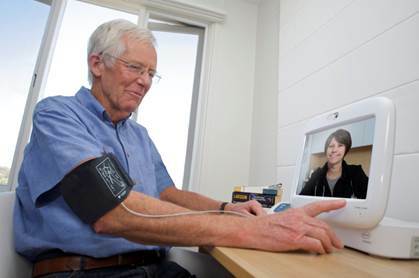 ACCAN is still advocating strongly with the regulator that all people signing NBN contracts should do so only with informed consent regarding medical alerts and other devices that may not work on NBN. The issue of unmonitored alarms is more complicated. As COTA understands it, NBN does not plan to assist people with unmonitored alarms make the transition. Those people can register on the NBN website, which triggers NBN to contact the customer to ensure that they understand their alarm will not work on the ‘landline’ in a power outage. A global solution regarding unmonitored alarms is difficult to find due to a range of factors such as the device may have been bought online from overseas creating problems with registering them, may not meet various standards, may be very old (and therefore not mobile compatible anyway) and other potential issues. ACCAN has responded to this by advocating strongly with the regulator that all people signing NBN contracts should do so only with informed consent regarding medical alerts and other devices that may not work on NBN. That is, before signing up, a customer must have the potential problem pointed out clearly to them and indicate that they understand the implications. At the moment this informed consent is required under only a small proportion of NBN retail contracts. ACCAN is pressing for full coverage through a mandatory code on retail providers to ensure that, no matter who the retailer provider, all consumers receive the same message and understand the risks of switching. While informed consent and very good information are essential, they may not be enough for those consumers who have particular vulnerabilities. There is one other factor in the mix in this issue. Back-up batteries have been suggested as a possible solution. Back-up batteries may be installed on request when the NBN is being installed (and are mandatory for those registered for Priority Assistance services). Costs may apply. NOTE however, the key constraint is that battery backup is only available on fibre-to-the-premise NBN services, not fibre-to-the-node. Transfer to NBN is not mandatory. It takes place on an opt-in basis. If a person chooses not to opt-in, they will remain on what will be viewed as a legacy system which will be switched off at a later stage – up to 18 months after NBN is available. Currently there are no fees for making the switch to NBN at a later stage, but consumers should be cautious about this. There is currently a low rate of people remaining on legacy systems after NBN is available. The customer is also likely to receive marketing communications from other retailers who are NBN providers trying to sign up the person, drawing them away from their current retailer. If you are receiving communications (either written or on the phone) from NBN providers that you consider to be pressuring, confusing, hard to understand or threatening, please alert COTA to them. Examples provide a COTA Policy Officer with the opportunity to take up the issue with ACCAN, the ACCC, the regulator and/or NBN.